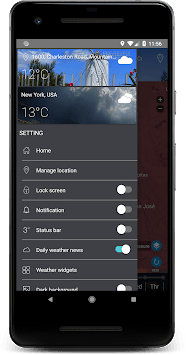 This weather widget is full of features, you can get daily and hourly forecasts, daily and 7 day weather updates, fancy weather widget, weather news and weather Global. 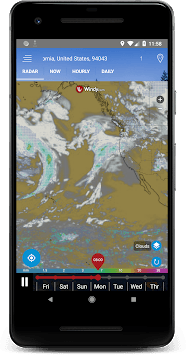 Before going out, you can check out this free weather app to prepare for unexpected weather changes. In addition, you can also check the temperature and rain probability for hours to plan your outdoor activities. Besides, you can also check forecasts today & tomorrow (7-day weather forecast) with this temperature app. With this accurate weather report app, you won again in the rain! This professional weather app is packed with various weather themes and temperature clock widgets to decorate your main screen. 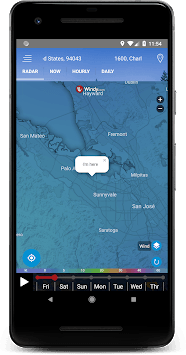 In addition, the weather widget for this android also displays radar information such as accurate external temperature, forecast, sunrise time and sunset time, humidity, air pressure, waves, UV and cloud information. Users can choose to receive daily weather updates in the morning and evening to check the weather today and the weather tomorrow. Support many types of languages ​​that you can manually adjust or automatically.